Removing weeds that harbor pest insects or rodents. Eliminating weeds before they produce seed. Keeping field borders or surrounding areas free of pests and pest breeding sites. Destroying diseased plant material or crop residues. These sanitation practices are all important to consider throughout the season and as the season comes to a close. Be aware that some sanitation practices may have other adverse effects. For example, crop residue can be removed from the field by plowing, shredding, chopping, burning, or feeding it to livestock. This helps remove or kill insect pests that are inhabiting the residue. However, this technique can compromise soil conservation as crop residue is a source of soil nutrients and erosion control. 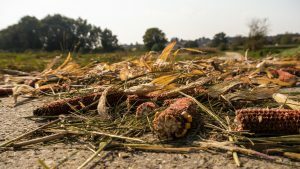 Crop type, pest threat levels, soil health, and field/garden history should all go into consideration when deciding how to sanitize a field after harvest and at the end of the season. For other September gardening tips, see the USU’s Gardener Almanac and click on September. 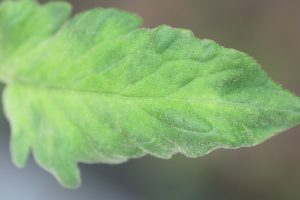 Tomato russet mites are a common issue of tomato plants and have been seen often this summer. They are most abundant during hot, dry weather in the mid- and late summer. They attack a variety of vegetables including tomato, eggplant, pepper, potato, and other solanaceous plants. The presence of tomato russet mites often goes unnoticed due to their microscopic size until feeding injury is evident. 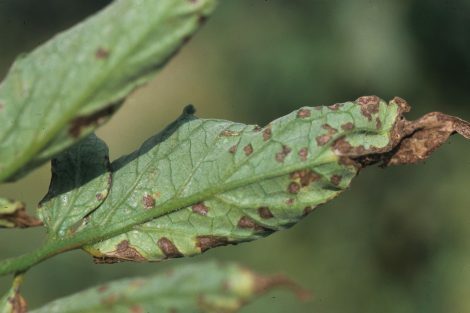 Injury from mite feeding can cause bronzing or “russeting” of the surface of stems, leaves, and fruits. Damaged leaves may turn yellow, curl, wither, and fall from plants. 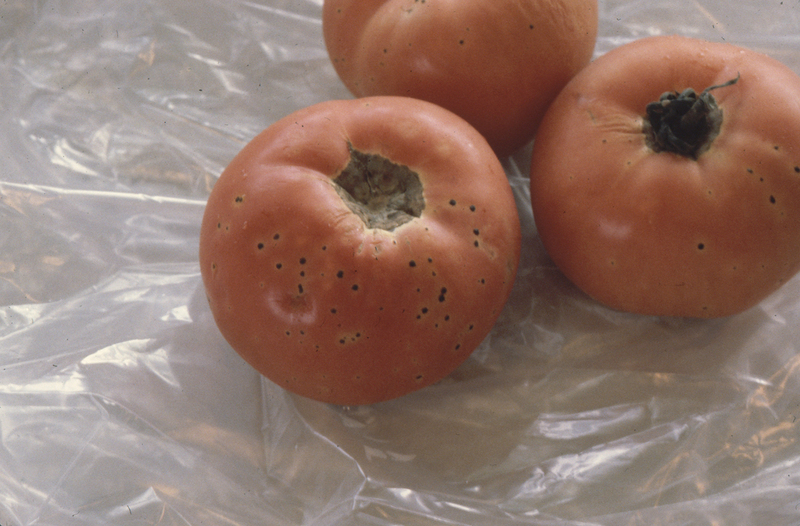 Mite feeding on fruits can cause longitudinal cracks and bronze coloration. 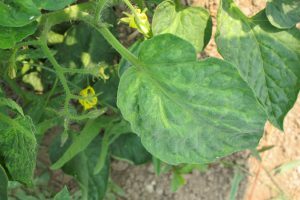 If infestations occur in the same field in successive years, be sure to remove alternate hosts such as nightshades and morning glory. 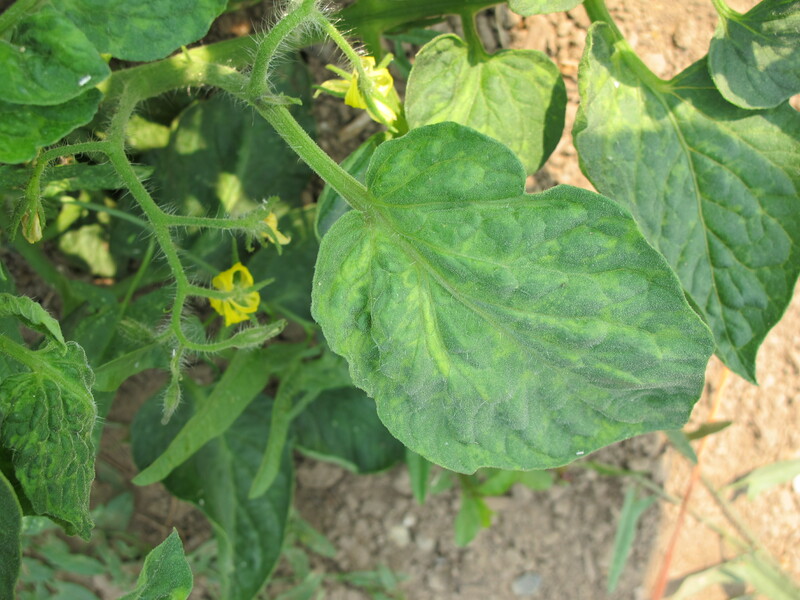 A Tobamovirus (Tobacco mosaic virus or Tomato mosaic virus) has been detected this summer on tomato plants. 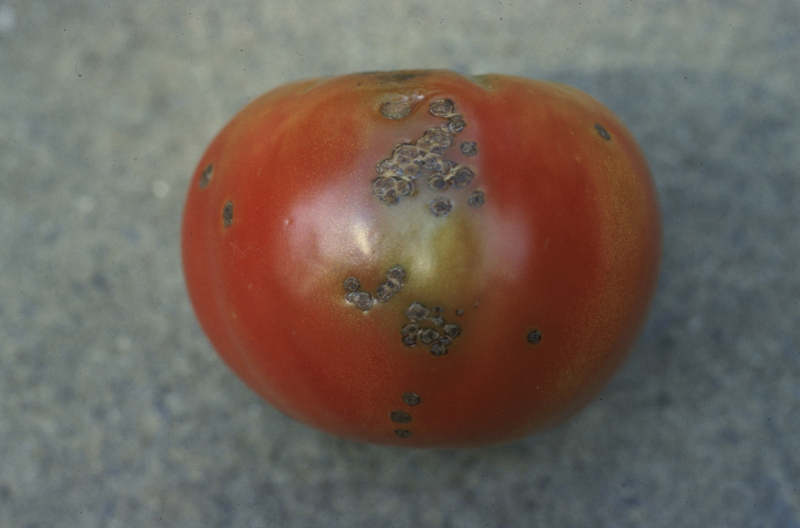 ToMV most commonly infects tomato, but can also infect pepper, potato, apple, pear, cherry, and numerous weeds (e.g. pigweed, lamb’s quarters). Symptoms may differ on different hosts. 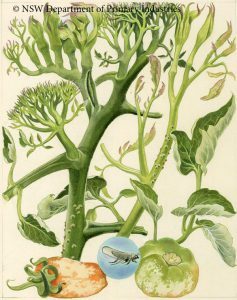 TMV has a wide host range of crops, ornamentals, and weeds including cucumber, lettuce, beet, pepper, tomato, petunia, jimson weed, and horsenettle. 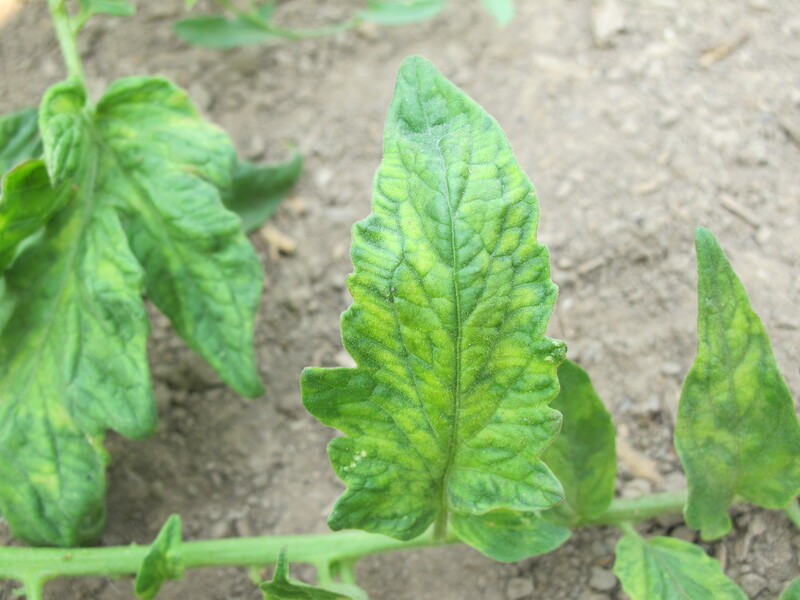 In tomato, foliage displays mosaic symptoms that can range from a faint light and dark green pattern to a darker yellow and green pattern. 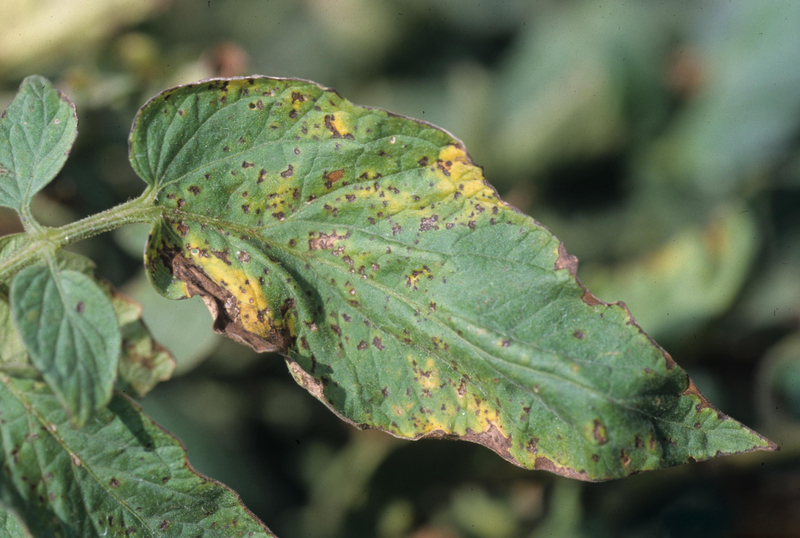 Mosaic symptoms depend on plant cultivar and temperature. Symptoms are fainter at high temperatures. 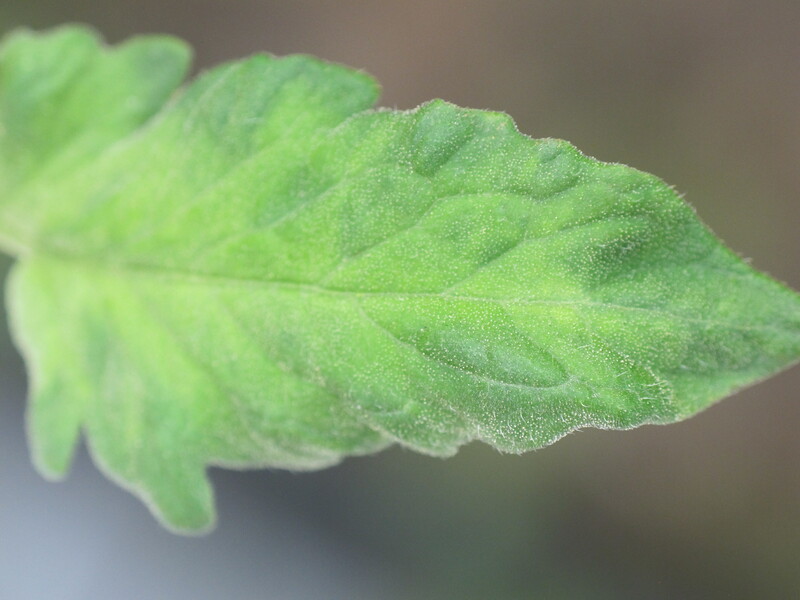 Other foliar symptoms include leaf distortion (fan shape) and occasionally leaf curling. In some cases, fruit symptoms will not occur. In other cases, yellow rings or brown sunken lesions will show on ripe fruit. 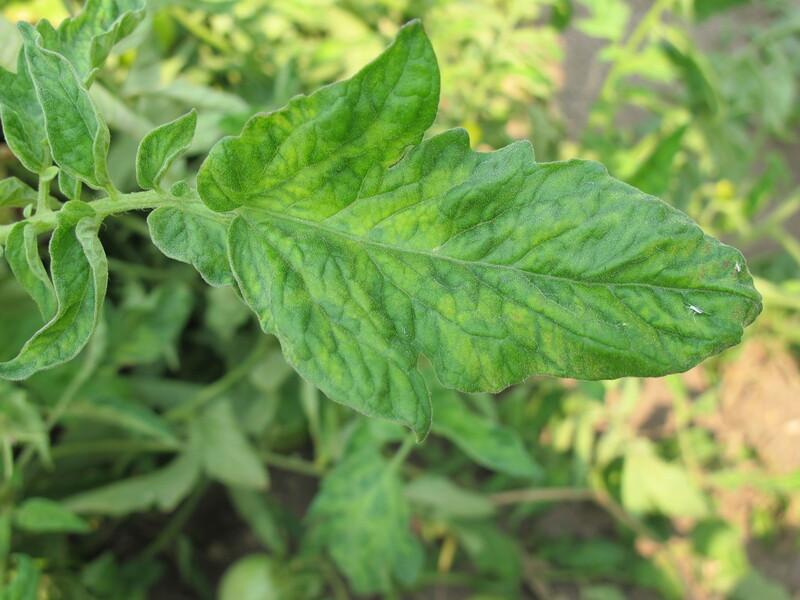 Because fruit symptoms can be mistaken for Tomato spotted wilt virus (TSWV) infection, the virus should be identified by a plant diagnostic lab. Samples can be submitted to the Utah Plant Pest Diagnostic lab (UPPDL) for identification at http://utahpests.usu.edu/uppdl/. 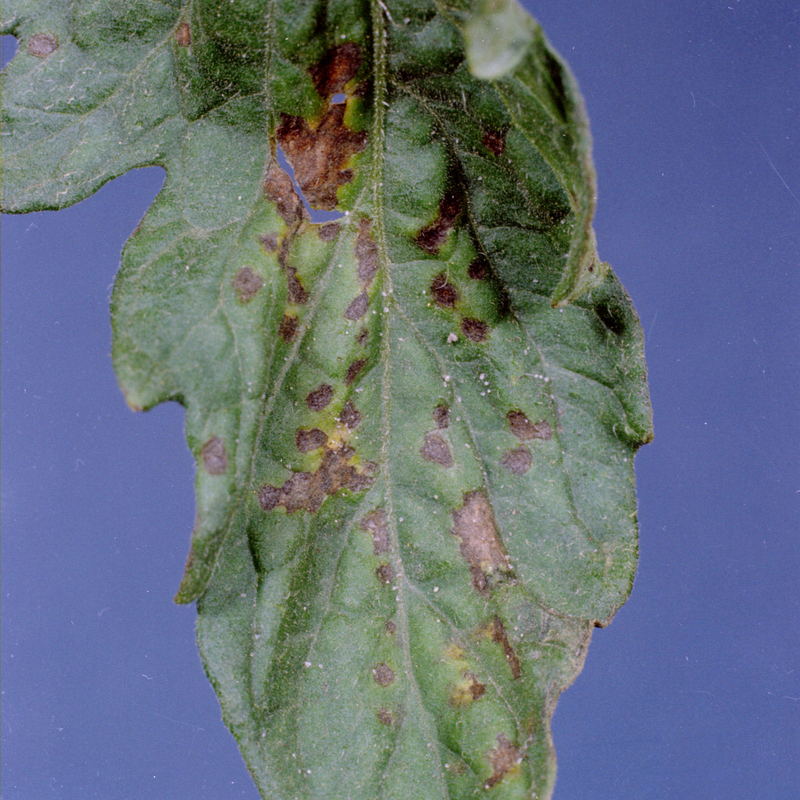 Tobacco and tomato mosaic viruses are difficult to control, as they can survive harsh conditions for many years. Once a plant is infected, there is no cure. 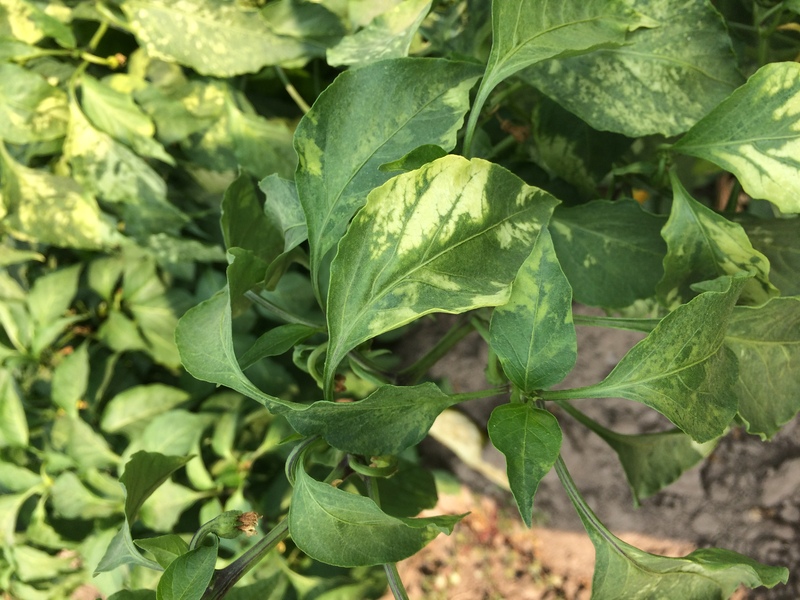 Alfalfa mosaic virus (AMV) has been found on pepper plants this summer. 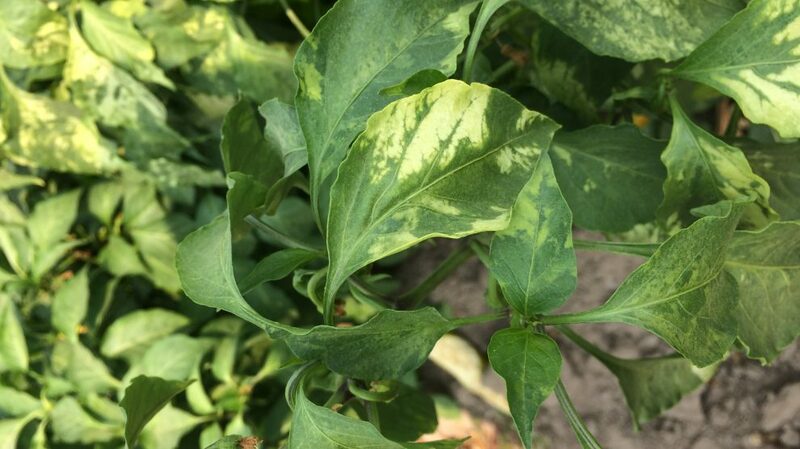 AMV is spread by aphids and symptoms typically occur as distinct yellow or whitish mosaic patterns on infected leaves. Infected fruit may taste bitter and be stunted and misshapen compared to healthy plants. 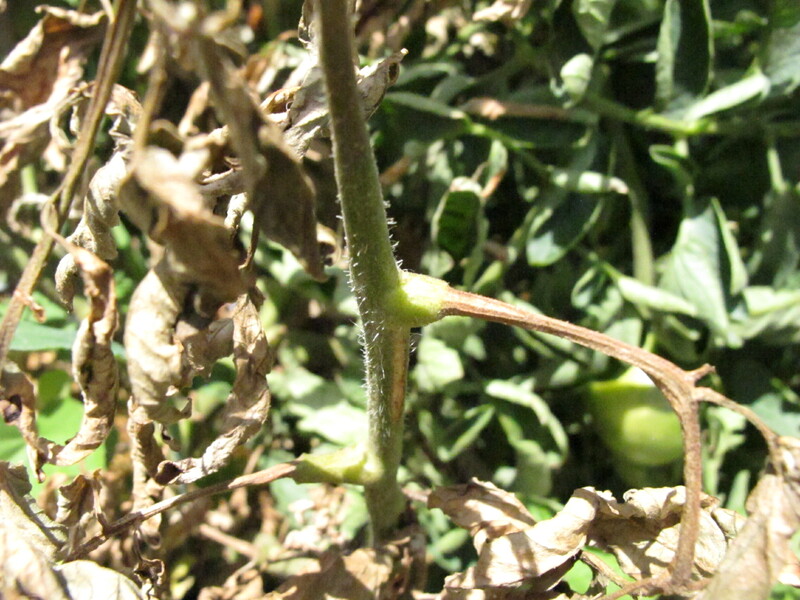 AMV has a wide host range including several weeds and crop plants, particularly plants in the solanaceous (nightshade) and leguminaceous (pea) plant families. AMV rarely causes serious economic loss because the number of plants infected is usually low. 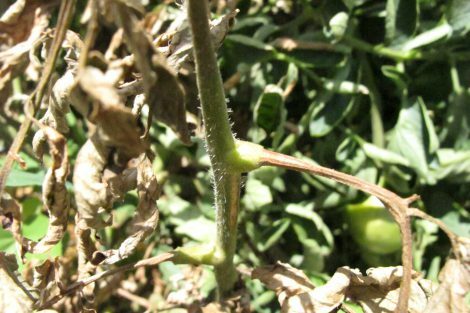 However, it can severely infect individual plants resulting in little or no fruit production and may be more economically important in fields near alfalfa. The best way to control AMV is to avoid planting susceptible crops near alfalfa fields. Insecticides aimed at controlling aphid vectors will most likely not kill aphids before they transmit the virus to plants, and thus is largely ineffective. 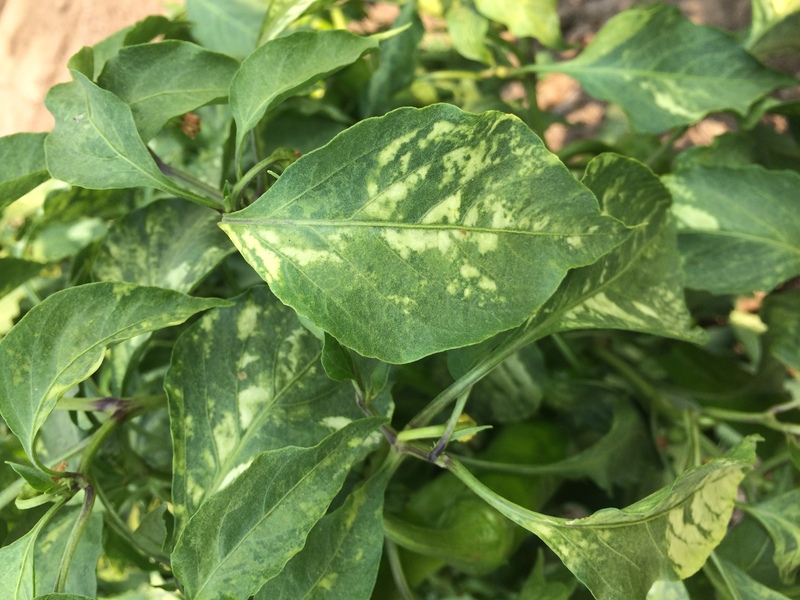 Bacterial spot and bacterial speck are two different diseases (infecting tomato and pepper) that are often confused with each other because they look very similar. 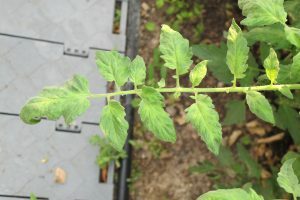 One of the two diseases was found on tomato this season. Bacterial speck is caused by Pseudomonas syringae and is spread by splashing rain or sprinkler irrigation. The bacteria survive in soil, debris, and seeds. 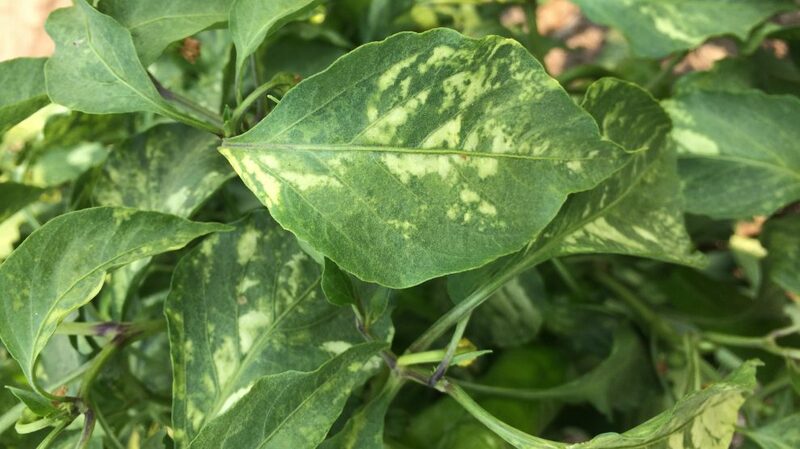 Symptoms of Bacterial speck may also be confused with Early blight as well as Bacterial spot. 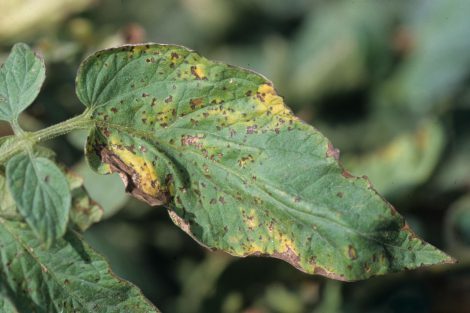 Bacterial spot is caused by Xanthomonas spp. and is spread primarily through seed or on transplants and secondarily in fields by splashing rain or sprinkler irrigation. The bacteria survive in crop debris, volunteer plants, and weed hosts. Symptoms of Bacterial spot are often confused with Bacterial speck and Bacterial canker. Tomato big bud virus has been seen this season on tomatoes. Big-bud symptoms are prominent with large, swollen green buds that fail to develop normally and do not set fruit. Infected leaves are yellow-green and distorted and apical stems become thick and take on an upright growth habit. Infected plants develop shortened internodes and small leaves, giving an overall bushy appearance. Tomato Big bud is transmitted by the beet leafhopper, but is generally uncommon. 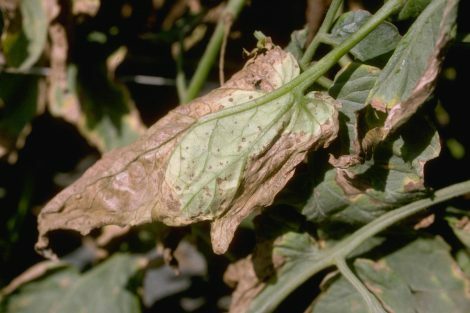 The disease has a wide host range, including many vegetables and weeds. 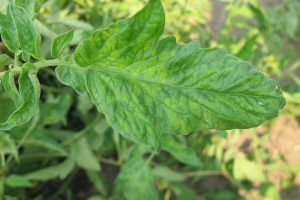 Usually, only a few plants of a crop are infected and show symptoms. Management will rarely be needed. If damage is severe, it may be best to replant to avoid low yields. 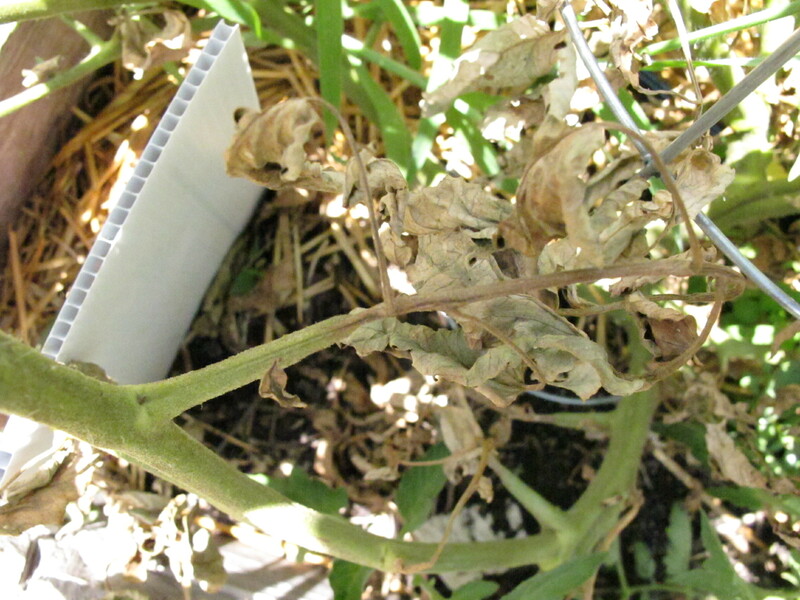 There can be several reasons for tomato plant wilt, including very hot weather, lack of water, nearby walnut trees, and root-knot nematodes. 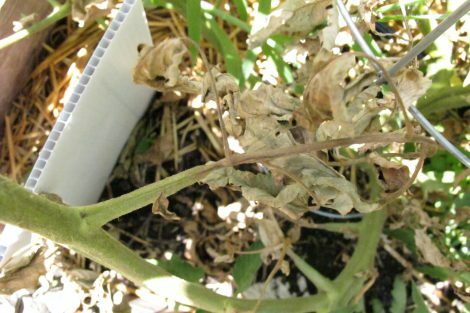 Diseases and other conditions can also cause wilt of tomato plants. 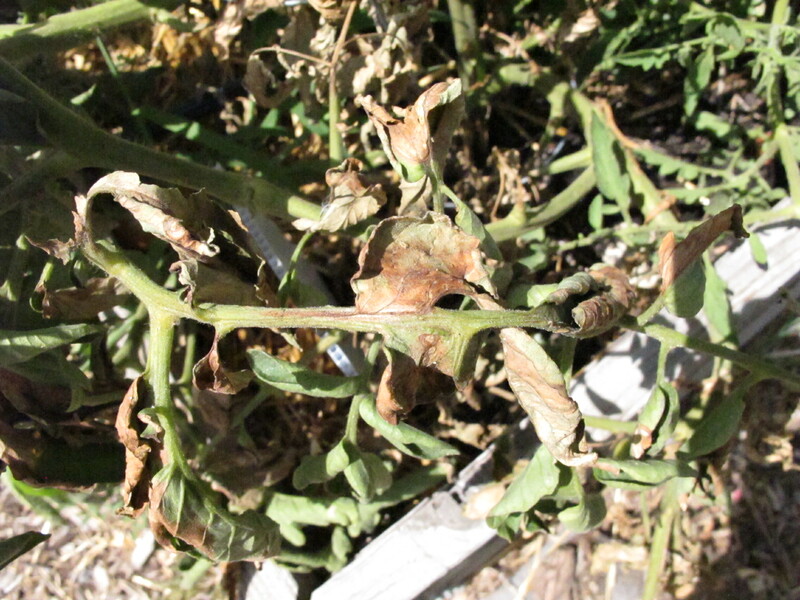 This summer, Fusarium wilt was detected in tomato plants. 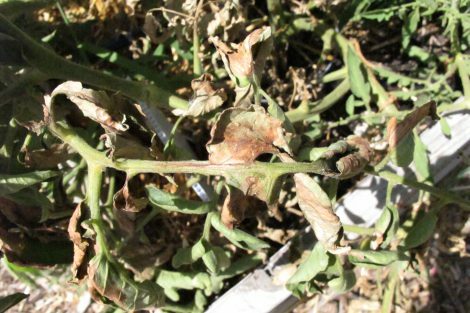 Fusarium wilt is a soilborne fungus with initial symptoms including wilting of infected plants during the hot part of the day with recovery in the evening. Eventually, the wilt is permanent. 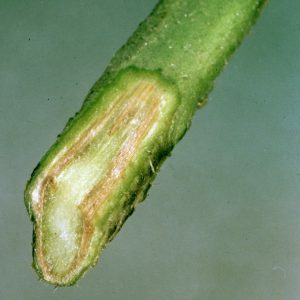 A discoloration of the vascular tissue can be seen by cutting through the main stem. Fusarium infection occurs through the roots and is favored by high soil temperatures (90°F) and high soil moisture. 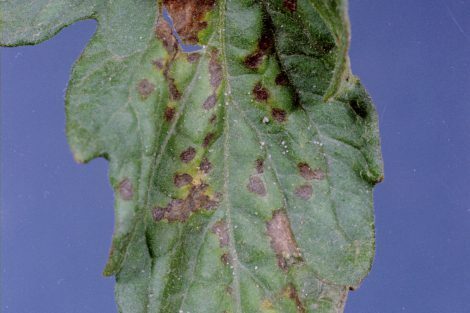 When the plants are dead, Fusarium oxysporum (the fungus that causes fusarium wilt) produces salmon colored spores, called conidia, on the plant surface that are washed into the soil by rain and irrigation water. Fusarium also produces resting spores, called chlamydospores that can survive for several years in soil and plant debris. Management is very difficult due to the production of long-term survival structures in the soil. 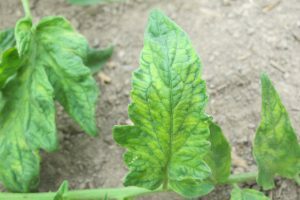 There is no cure for Fusarium wilt. Plants must be removed and destroyed. Use resistant varieties when available. 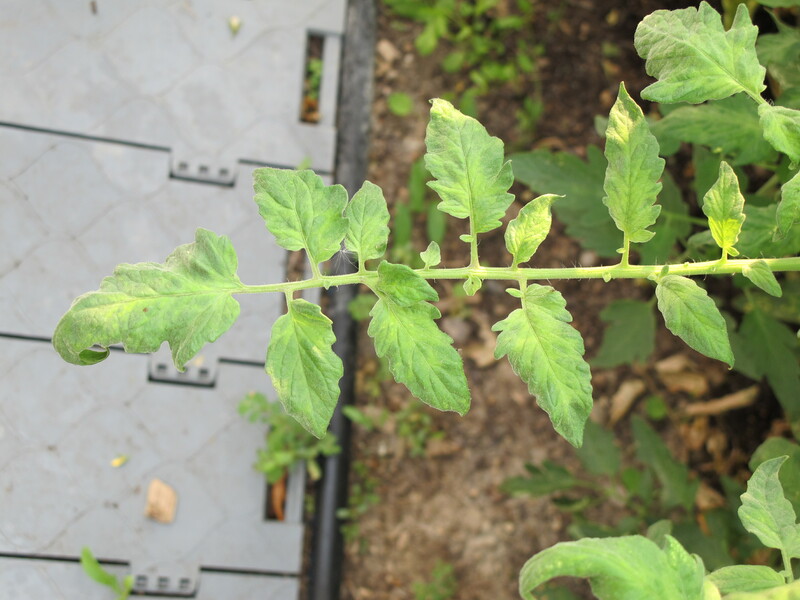 Resistant tomato varieties are available for Fusarium oxysporum races 1, 2 and 3. Rotate tomato plants to another part of the garden or grow plants in containers (keeping infected soil out). Pull up and discard infected plants immediately. Sterilize plant growing equipment and supplies with a 10% chlorine bleach solution and use sterile soil-less growing media.